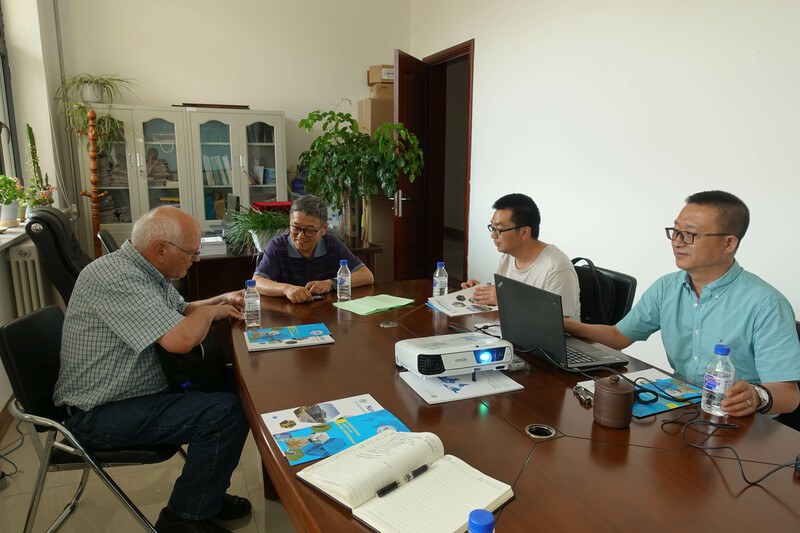 On June 4, Professor Neil B. McLaughlin from Agriculture and Agri-Food Canada and Dr. Yafei Guo from Northeast Institute of Geography and Agricultural Ecology, Chinese Academy of Sciences visited the ISBE secretariat under the invitation of Professor Jianqiao Li, the General Secretary of ISBE. During the seminar, the office director Runmao Wang firstly expressed the welcome greetings to Professor McLaughlin, and and detailed the current situation and development status of the ISBE.. Professor McLaughlin expressed his strong interest in bionic research, and gave a positive assessment on the international exchange platform of the society and the rapid development achieved. Professor McLaughlin also introduced the research on agricultural machinery and conservation tillage made by his Canadian research group. He hoped that he could use bionics research methods to further promote the comprehensive conservation tillage techniques. 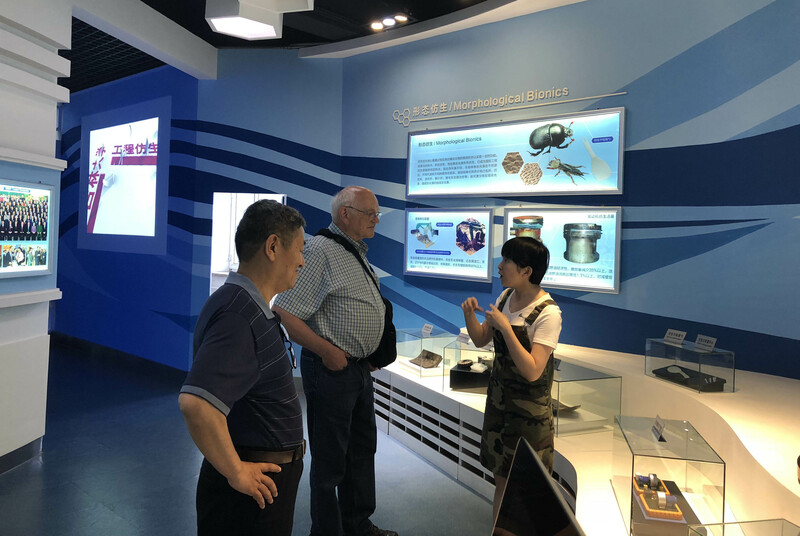 Professor McLaughlin applied to join the ISBE on site, and visited the Key Laboratory of Bionic Engineering of Jilin University after the meeting and conducted technical exchanges with the researchers in the related fields. Professor McLaughlin is a professor of Agricultural Engineering in Eastern Canadian Cereal and Oilseed Research Center. He is also a doctoral supervisor in the doctoral candidates training program jointly hosted by China’s Ministry of Education and Canada’s Ministry of Agriculture. He has conducted long term researches on agricultural machinery and conservation tillage and established a cooperative relationship with many research institutes in China.